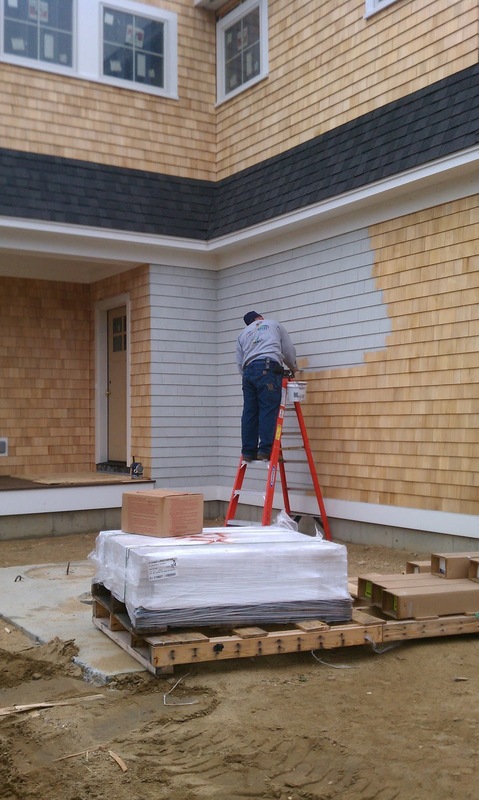 I'm trying to decide on the pre-stained color of my pine lap siding -- TODAY! 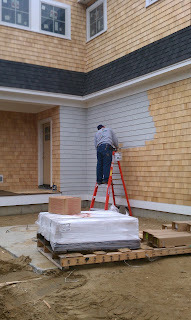 Could you confirm that the color you went with (albeit on what looks like cedar siding) was Cabot Semi-Solid Sky Gray? I'm leaning toward the Seacoast gray of that product, which seems like a slightly truer gray than blue -- was that your sense of it, as well? Also, I did buy lots of samples, but none of them showed as much pigment as I see on your house. I like the heavier pigment look and so this is encouraging, but I'm just wondering if you have thoughts about that. So- after taking a blog break- Im back- sorry to just answer this now- we went with Ben Moore Cliffside Gray- and I love it!!! vey soft. would love to see your photos!